David Vickery – Visual Effects supervisor from Double Negative chats with reviewer Chuckie in an exclusive interview. Having worked on films with Tom Cruise and Guy Ritchie, David is the go-to-man for all things CG and talks to us about his career, the technology and what it’s like working alongside A-listers. How did you get into Double Negative? I studied Industrial Design and Engineering at De-Montfort University in Leicester and when I left I went on to complete a Masters in Digital Animation at London Metropolitan University. I started calling all the VFX facilities in Soho as soon as I had a suitable showreel. It took about 6 months of very persistent emails and phone calls, before Paul Franklin eventually gave me a job at Double Negative. I’ve been there 13 years now, and I’ve tried my hand at most elements of 3D: Modelling, Texturing and Lighting. Fluid, Cloth and Rigid body dynamic simulations. Eventually I made my way to CG Supervisor. My first show as Double Negative’s Visual Effects Supervisor was Guy Ritchie’s 2009 film of Sherlock Holmes. I’ve been Visual Effects supervising ever since. How did Double Negative get involved in Jupiter Ascending? I finished working on Fast and Furious 6 right about the same time as Jupiter Ascending started shooting. Double Negative asked me if I was interested in supervising their portion of the work on the film, which of course I was! The overall Visual effects supervisor and Producer for the film (Dan Glass and Theresa Corrao) wanted to split the visual effects work fairly evenly between Double Negative and Framestore, with Framestore handling the bulk of the creature work and Double Negative the Environment work. The main work for Double Negative was the Chicago Shadow Chase and the Balem’s refinery on Jupiter. In total we worked on about 650 shots. What was it like working with the Wachowski’s? I was definitely a little nervous when I was first introduced to them; to meet these icons of the industry was understandably intimidating but it was also an incredibly inspiring experience to be able to work with them. They are very friendly, creative, loving and enthusiastic directors who inspire the people they work with and encourage all forms of creativity. They don’t settle for second best, they push and they push and they push. So how much freedom did you get on the project? The Wachowski’s are always brimming with interesting creative ideas, which they realise through concept art and colourful verbal descriptions. They could make many books from all the concept art generated for Jupiter Ascending alone. At the same time, they are always open to new ideas and are very supportive of the creative process. I was encouraged to develop their concept work and also led Double Negative to design a number of interesting new effects for Jupiter Ascending. Can you explain how you explain how you developed scenes: the fight with the shadows for example? The Shadow Chase is a 3 minute long aerial dogfight around the skyline of Chicago. Channing Tatum (Caine) and Mila Kunis (Jupiter Jones) are trying to evade capture by the alien ‘Keepers’, who are piloting incredibly agile fighter jets called ‘Shadows’. These ‘Shadows’ are constructed from levitating interconnected wing panels, which can be reconfigured into different shapes to help the spacecraft make very dynamic acrobatic manoeuvres. Caine is wearing Fermionic (anti-gravity) boots and carrying Jupiter on his back. The sequence was initially realised by Animator Scott Benza, who put together previous using an accurate model of Chicago. This previs was a fantastic resource for Double Negative when planning the shoot, but we soon realised that the biggest challenge in creating the sequence was going to be how we would capture the aerial photography. To do this we designed and built a new camera rig that could fit inside an Eclipse system on a helicopter. The rig was made up of 6 Red Epic digital cameras, mounted with 20mm lenses and arranged in 2 rows of 3, one on top of the other. The 6 camera feeds could be stitched back together to create a single large format image with a 145-degree horizontal field of view. This is roughly the equivalent of an 11mm Imax lens, but our rig gave us over 12,000 pixels of images to play with! We carefully planned the routes we needed the helicopter to fly in order to most accurately re-create the previs. The high-resolution images we captured with our camera array were then re-sped and projected onto an accurate 3D model of Chicago. This enabled us to create the dynamic swooping digital camera moves seen in the final sequence. How did you integrate the actors in this shot? With VFX driven sequences like the Shadow Chase, you often rely heavily on Digital Doubles, but what the Wachowski’s were very clever to do was to find a way to actually film stunt doubles flying around Chicago. To make it look like Caine had real anti-gravity boots, they suspended Channing’s stunt double 40ft below a helicopter and then flew him around the city and filmed him from the rooftops or a second helicopter. This gave Double Negative fantastic lighting and animation reference for all of our digital double work – all we needed to do was paint out the helicopters. We also had VFX crews on hand to shoot 360-degree HDRI (High Dynamic Range) environments, which help with our 3D lighting and rendering. Over the course of the shoot, Double Negative artists took hundreds and hundreds of thousands of photos. How did you create all of the technology: Caine’s spacesuit, his shoes and shield? For Caine’s shield, one of Double Negatives concept artists – Jonathan Opgenhaffen – developed the initial production concept artwork into a series of images that described the stages the shield went through as it turned on. When we moved the design into animation we were able to add more creative flourishes. The orange plasma that the shield throws out when it absorbs impacts was to help visualise a deflection of energy. The final shield is a combination of many FX elements carefully composited and balanced to achieve the right look. How do you decide what is too much or too little detail, especially when it comes to a city? There is no such thing as too much detail in Visual Effects. There is infinite detail in reality, and at the end of the day that’s what we are trying to fool people into believing they are watching. However – when you are planning the Visual effects work on a film or in a sequence you have to look at many factors – How many shots are there, how long are the shots, how close do you get to objects, what are the lighting conditions, what film stock or camera is being used, can we even render it? … In the end it always comes down to one thing – time. Rendering Balem’s refinery on Jupiter was one of the biggest challenges we had on the show. The Refinery was the largest Digital model Double Negative had ever built and it was made up of billions of polygons. To give you an idea of the scale of the digital model, the Refinery was lit with over 50,000 lights, which were individually placed by 2 artists. We had to completely rethink the way we were rendering and used Houdini and Mantra for all the Jupiter Refinery sequences in the film. This combination gave us a number of benefits: It allowed us to render the rigid surfaces in the city alongside all the fluids. Meaning that the lava would light the smoke and the smoke could cast shadows onto the building accurately; something that we previously would have relied on doing in multiple renders. How much of the concepts you made were based on actual events and previous films? For example the control of the Shadows was very reminiscent of the A/C unit from the Matrix. 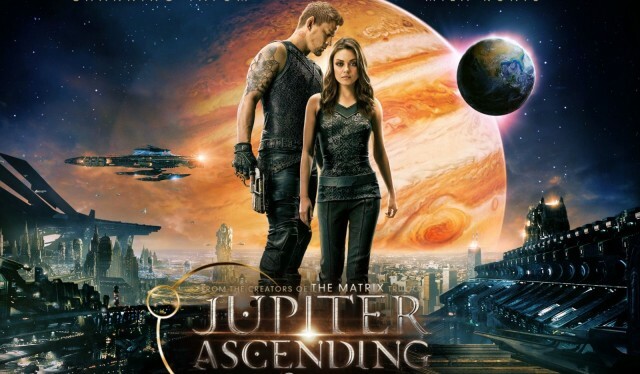 We had a lot of artists working on Jupiter Ascending who were huge fans of The Matrix and all the amazing design work that the Wachowski’s have created over the years. I’d frequently have artists showing me sketches of ideas that they thought the directors would like and they often looked like designs we’ve seen in previous Wachowski projects. The Wachowski’s take everything on merit so it just comes down to whether they like the design or not – Its never deliberately lifted from ideas they used in previous films, but perhaps they do continue to develop similar themes over more than one project. How long did the process take? Double Negative had crew on the film for over 18 months. How many ARE in your crew? 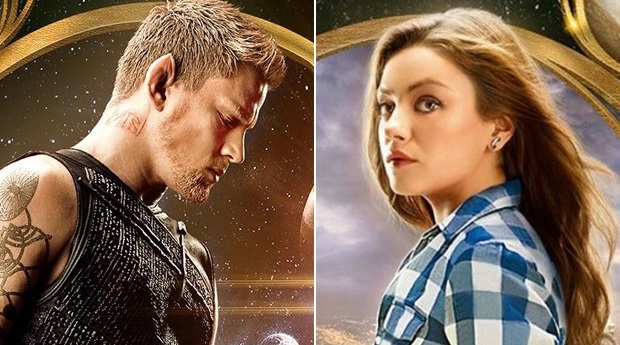 At its peak Double Negative had over 500 artists working on Jupiter Ascending. Would you or have you ever put any Easter eggs in any of your designs. It depends on who is watching as to whether they think its an Easter egg or not! We managed to feature our VFX Producer in Jupiter Ascending. He can be seen driving the Garbage truck that Caine and Jupiter narrowly avoid on the bridge during the Shadow Chase. We had to replace the stunt man that was driving the truck on the day. The Wachowski’s know about it and thought it was funny. Have you been in anything? I can be seen running away from the flipping tank in Fast and Furious 6 and most recently I have my mugshot in Mission Impossible Rogue Nation. You can see me on the screens in the Safe Barge after the Opera scene. What has been your favourite thing to work on? Mission: Impossible – Rogue Nation with Tom Cruise. It’s been an incredibly fun ride. Is there any project you would like to work on in the future? There are so many fun projects in the works right now. I’d love to work on any of the new Star Wars franchise, or Indiana Jones, but it’s as much about the people you get to work with as the project. There are so many great directors out there I haven’t crossed paths with yet.